The world's first THX Ultimate Cinema takes aim at Dolby | What Hi-Fi? 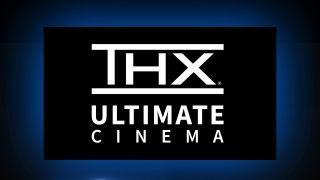 THX has unveiled the first ever THX Ultimate Cinema. The set-up promises to push the boundary for audiovisual experiences, and is due to open at a legendary Los Angeles cinema in time for summer. It follows hot-on-the-heels of Dolby Cinema, a similarly AV-packed upgrade of the cinema experience. With THX Ultimate Cinema, film fans can expect a dual laser system which delivers a 4K picture with enhanced brightness, contrast, clarity and colours. There's a large format screen, which will display exclusively remastered content. It promises to be a treat for the ears, too. The premium immersive audio system delivers more low-frequency power, which THX claims will mean less distortion and a more powerful sound. The clarity and accuracy of the multi-dimensional sound system is said to be improved, too. The THX Ultimate Cinema will be housed at the 1400-seater Regency Westwood Village Theatre. The cinema, built in the 1930s, has been home to numerous Hollywood premieres over the years, including A Star is Born, JFK, Batman, Independence Day, The Terminator and The Lego Movie. It was previously known as the Fox Village Theatre. The new cinema was designed in compliance with THX Certified Cinema standards. THX worked with cinema experts Cinionic, acoustical consultants and equipment installers to make a custom set-up that fit the building's unique architecture. THX hasn't said how much it cost to kit out. But according to web rumours, the projector alone cost $1 million. The cinema follows on the heels of the UK's first Dolby Cinema, which offers some 400 speakers, Dolby Atmos and even a Compton organ.